Fujitsu Laboratories Ltd. has announced that it has developed its “ConnectionChain,” a security technology that can safely and easily execute exchanges and payments in different virtual currencies. A great deal of attention has recently been focused on virtual currency exchange among individuals and companies using initial coin offerings (ICOs)(1) to raise capital from the sale of virtual currencies. Settlement between virtual currencies managed using Blockchains, however, requires a reliable application to handle the currency exchange processing at the boundaries between the Blockchains, and ensuring transparency in this process has been an ongoing issue. Fujitsu Laboratories has now developed an extension of smart contract(2) technology which inter-connects multiple Blockchains by recording the series of related transactions on each chain in a dedicated Blockchain, or a “connection-type chain,” to link to the currency exchange into a single transaction process that can be automatically executed. It has also developed a transaction control technology to synchronize execution timing of the transaction process on each chain. With these technologies, transparency of transactions can be guaranteed, because all transaction processes are recorded as a trail in the connecting Blockchains, even when they cross multiple chains. In a trial that used this technology in a simulated virtual currency exchange system, Fujitsu Laboratories confirmed that when the currency exchange process was executed that the entire transaction trail for the virtual currency exchange was recorded in the connecting Blockchain. These technologies make it easy to support payments in a variety of regional currencies, and operators can also easily setup special exchange rates for promotional campaigns. Fujitsu Laboratories will continue expanding this technology beyond currency exchange to areas such as high-trust data exchanges between companies and contract automation, while also continuing to conduct trials in a variety of fields, with the goal of commercialization in fiscal 2018 and beyond. Without a central authority, Blockchain offers high usability and guaranteed reliability due to being resistant to modification. It is therefore expected to be widely used in a number of fields, including finance and distribution. For this reason, it is said that around 2020, numerous Blockchains will be set up across a range of fields. In addition, as applications in the financial field, there are ICOs in which companies and individuals sell virtual currencies to raise capital, as well as the issuing of proprietary virtual currencies by financial institutions. As a result, the volume of virtual currency being issued is skyrocketing, and it is expected that demand will increase for solutions that can handle transfers between these sorts of virtual currencies or data exchanges managed by Blockchains. With services to exchange virtual currencies or other assets, existing smart contracts merely execute transactions or contracts automatically and operate only within the limited scope of a single Blockchain. There were two major issues when executing exchanges across multiple Blockchains, as follows (figure 1). 1. The need to ensure transparency in the application located between the Blockchains, which handles the processing for things like the exchange rate and handling fees. 2. The need to control transaction timing across multiple Blockchains, and to deal with them as a single continuous series. Now, Fujitsu Laboratories has developed connection-type chain security technology that can safely and easily execute payments between different virtual currencies (figure 2). Details of the technologies are as follows. Fujitsu Laboratories has enhanced the capability of smart contracts, which automate contract processing and the handling of such tasks as placing orders and payments, to also be able to handle processes involving multiple Blockchains. This technology is enabled by adding new nodes to connect Blockchains, forming ConnectionChain, a Blockchain used for connecting Blockchains. The block data containing the relevant transaction process is extracted from the two Blockchains via this connection node, and each transaction process is connected. This enables the entire series of transactions, including task processing on the ConnectionChain, to be automatically executed as a single smart contract. By inheriting capability of the Blockchain on handling the linking and task processing, rather than trusting to an application, operators can ensure the transparency and confirm the accuracy of the processing. Fujitsu Laboratories has developed technology to control the transfer of assets in response to transaction processes across all Blockchains that make up a system, designing an asset depositing concept that can put asset-transfer on hold, which did not previously exist in Blockchain transactions. This technology controls the timing of the transaction processing in each chain, first putting the asset on hold temporarily without confirming the transaction process on the asset-holder’s side, then, after confirming the currency transfer from the recipient, confirming the transaction status for the asset-holder, and so on. This enables users to put the entire transaction process into a waiting state, which was difficult with existing Blockchain technology, and then either confirm or cancel the transaction process based on the overall outcome. In a trial that used this technology in a simulated virtual currency exchange system, Fujitsu Laboratories interconnected two Blockchains using different architectures to a system for exchanging proprietary virtual currencies, and executed asset transfers by exchanging virtual currency. The results confirmed that the transaction records relating to an asset transfer, including the transaction IDs on each Blockchain, the amount of assets transferred, and the results of those transactions, were recorded on ConnectionChain as a single transaction (figure 3, left). In addition, if a transaction across Blockchains were to fail while in progress, for reasons such as an inability to pay or settle, Fujitsu Laboratories also confirmed that the ID and timestamp for the transaction process that returned the assets on hold to their original owner was recorded (figure 3, right). This technology will make it easy for small businesses, such as small-scale online shops that might be operated by a single person, and which accept virtual currencies, to support new regional currencies, and it also enables the operator to freely define exchange rates, enabling initiatives such as preferential exchange campaigns for users who hold a particular virtual currency. 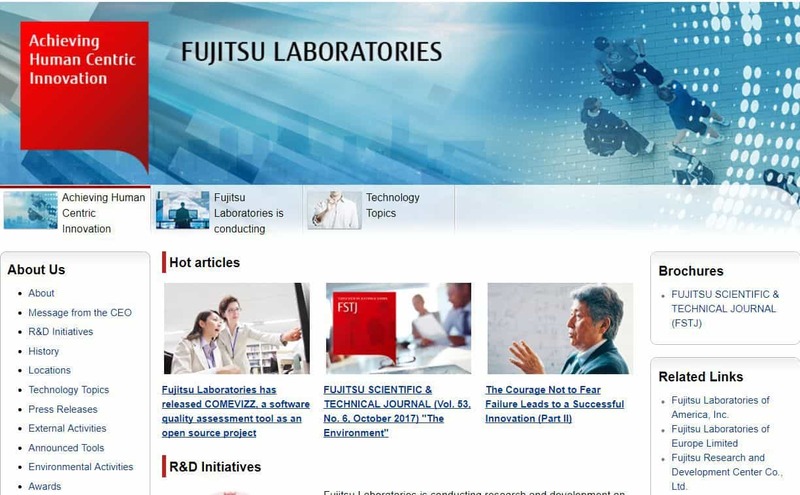 Fujitsu Laboratories aims to expand this technology beyond currency exchange to areas such as high-trust data exchanges between companies and contract automation, while also continuing to conduct trials in a variety of fields, especially in finance, with the goal of commercialization in fiscal 2018 and beyond.